H2 becoming EU Strategic Value Chain? On 5-6 February 2019 the annual flagship industrial conference EU Industry Days brought together key industry representatives. It was opened by the Commission President Jean-Claude Juncker and gathered around 1,500 participants from across Europe and beyond, including stakeholders representing industry, trade unions, national and regional authorities, and civil society. The programme included some interesting sessions such as the Innovative storage solutions to provide communities with access to clean energy session or The deep decarbonisation of energy-intensive industrial sectors: industrial and social impacts and opportunities session. 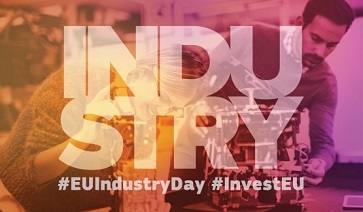 The event is the Commission’s annual flagship conference on industrial policy that brings together key industry representatives, public authorities and civil society to discuss the future of EU industry against the backdrop of the Commission’s 2017 Industrial Policy Strategy; over €370 billion in investments across the EU. The High Level Industrial Roundtable during the event talked about trends and challenges in the EU industries by 2030. The Commission unveiled preliminary recommendations of the expert group on strategic value chains.